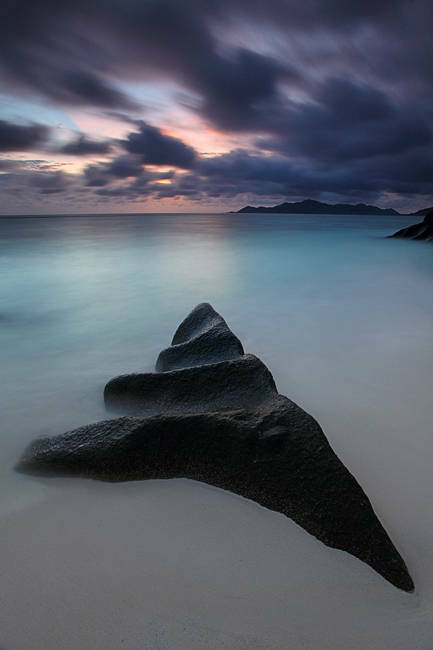 One of my favourite seascape photos of the Seychelles. I was standing with my hip in the water. Scared that a wave could knock down my tripod. Before that trip I prepared my tripod with heavy custom made spikes. You can see that they worked well. 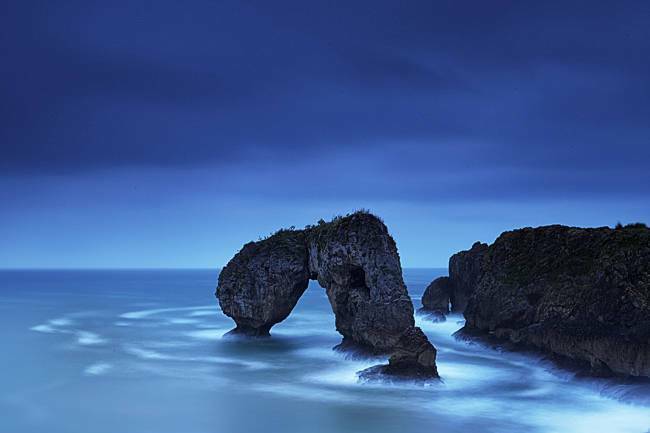 Anyway for seascape photographies like this you need patience. The use of different filters helped me to realise this image. 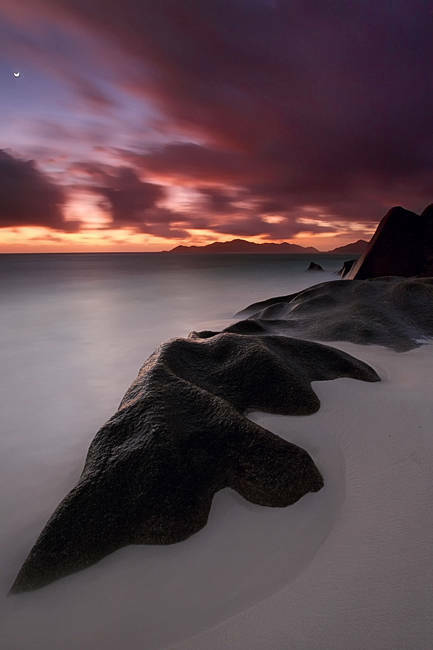 When you watch the Seychelles coast you can feel the myths that surround these islands. 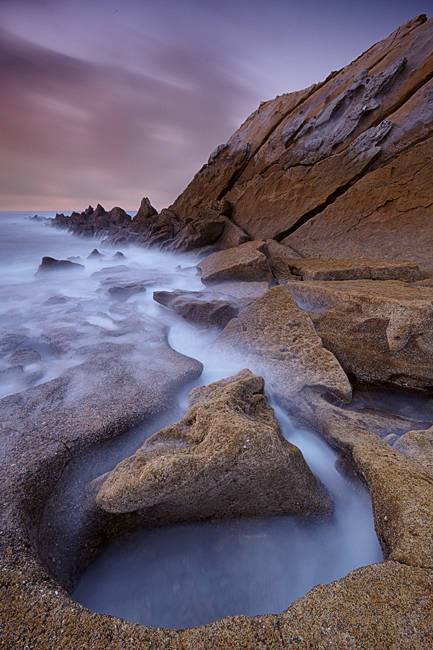 This seascape photography is another personal favourite. It needed endless time to wait for the perfect tidal condition in combination with a dramatic sky that I wanted. To give the surface of the sea that misty effect I used a neutral density filter. 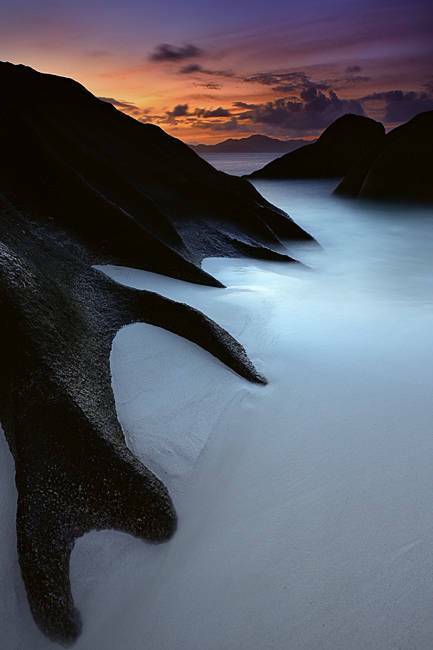 For seascape photography I love these islands in the middle of the indian ocean. 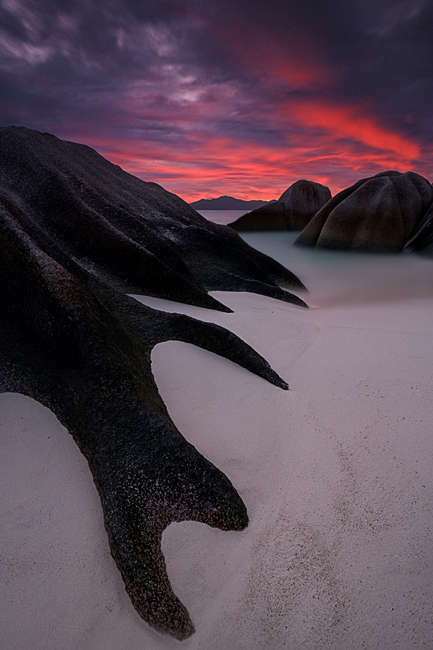 The Rocks are formed by the world greatest artist - The nature. 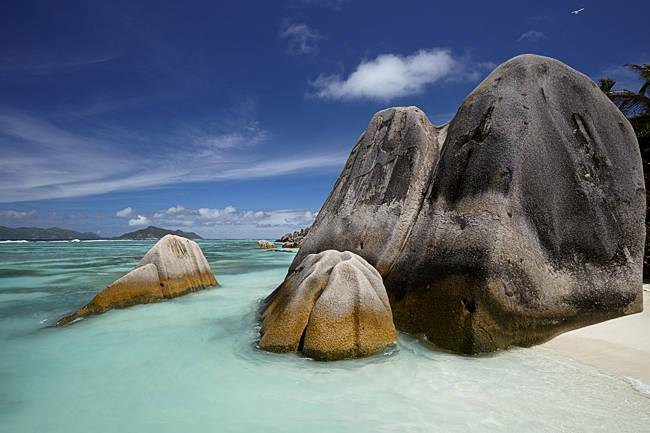 I'm always impressed, when I see these seychelles granite rocks formed by wind and water. Million of years old. When I'm resting there and starring at the horizon, I still see the sailing pirate ship. 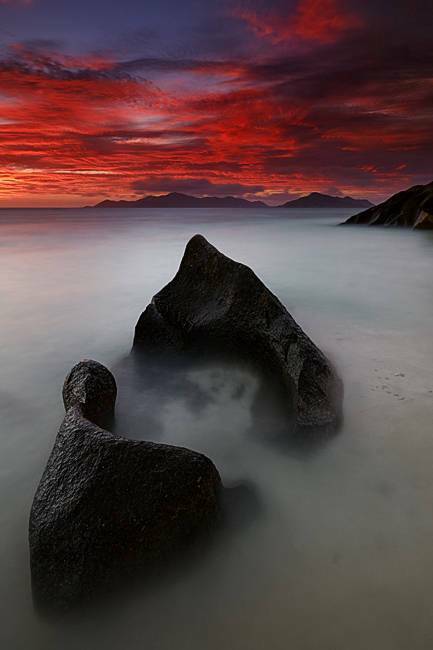 One of my favourite rock formations on the seychelles coastline. The sky of course is always different as well as the sea. 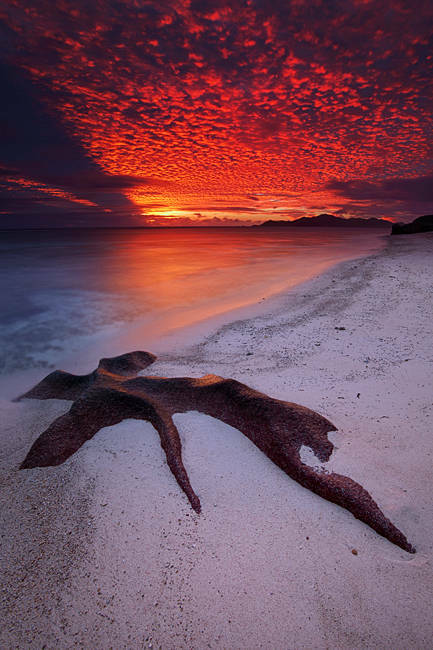 That's why I love seascape photography. 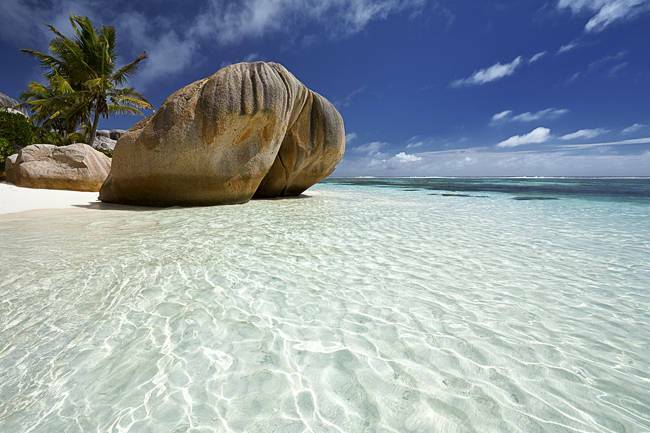 Maybe one of the typical postcard photographies of the seychelles. Crystal clear water, sunshine and a white beach. I was waiting here for again for the optimal light angle and tide to get this wonderful light patterns on the ground. 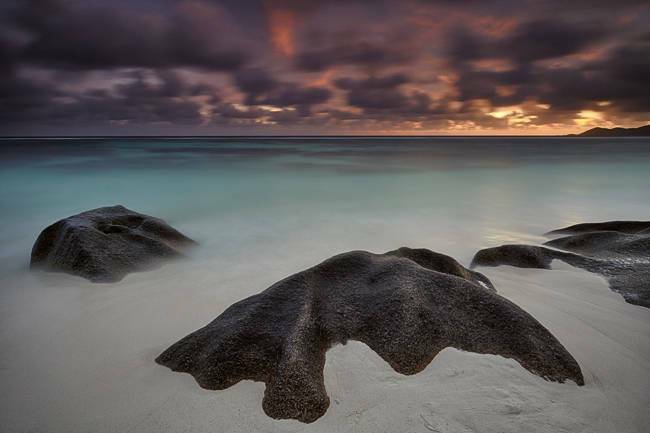 The islands of the seychelles are offering thousands of motives for photography. Open your mind and let the fantasy play. That's the secret, then you will see all the hidden figures. 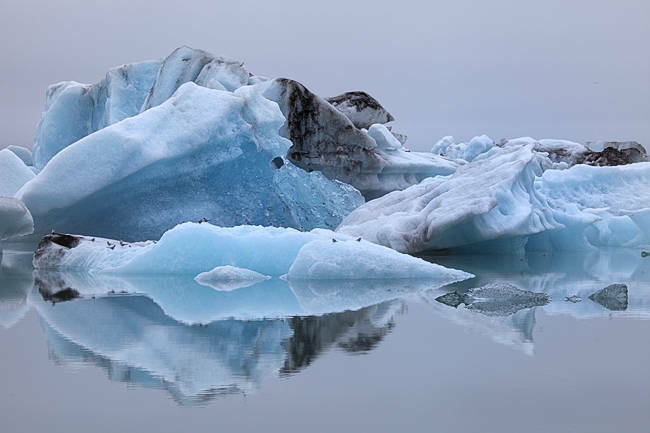 A polarizer filter on the camera lens can help to make the water more transparent and minimize the reflections. More or less a postcard print and with a bonus on the right corner in the sky a white - tailed Tropicbird. 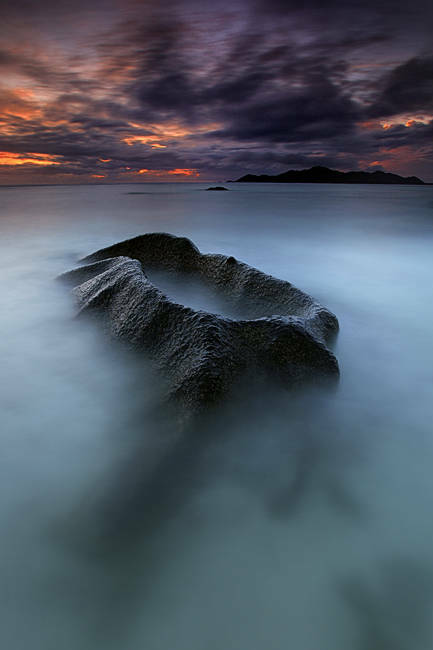 This is one of the typical seascape photographies of the seychelles. White beaches, crystal clear water and some white clouds at the blue sky. 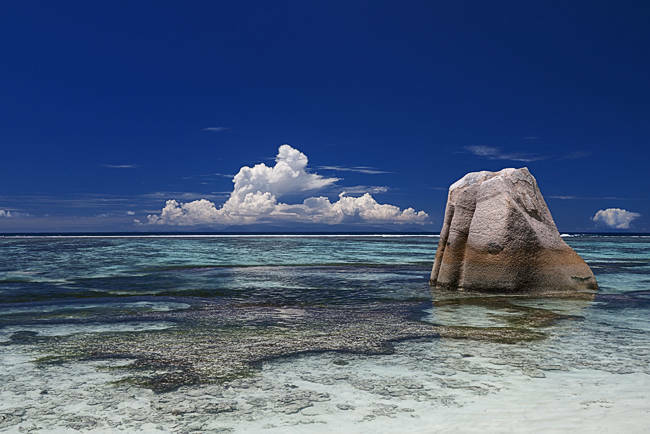 In this photo, I like the symmetry of the corals and the clouds with the rock as an eyecatcher. This seascape photography was quite difficult as well. I was waiting in the dark for the perfect incoming wave. The rocks were slippery like hell. Seascape photographers know what I'm talking about. 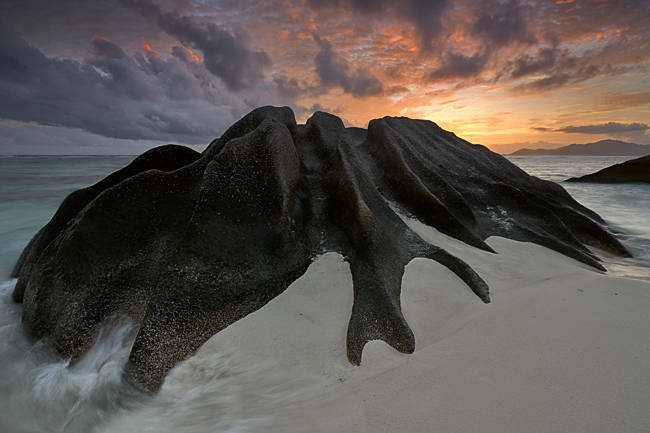 Without the knowledge of tides and wave sets it's nearly impossible to shot those pictures. 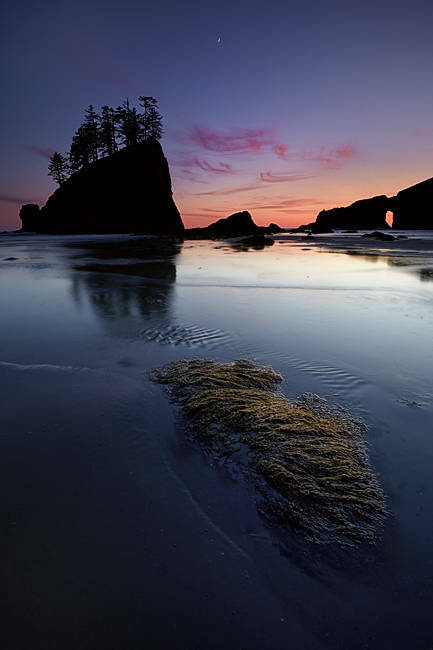 The washington coast is another paradise for seascape photographers. But it rains quite a lot in this area. To spend some days at the ocean increases the chance for a dry sunset. 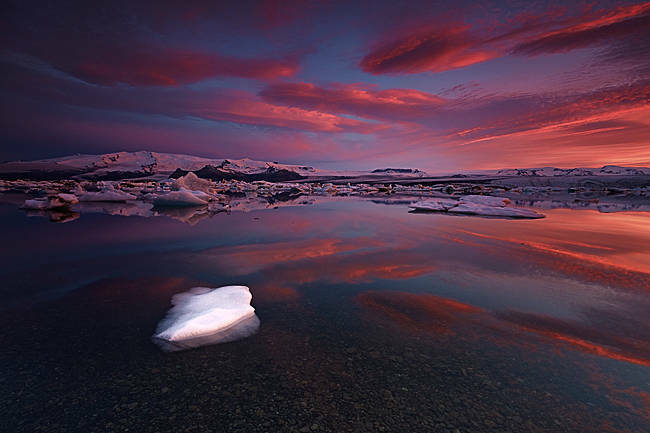 A reverse grad neutral density filter was used on the wide angle lens to keep the light situation under control. My wife an me were discussing a lot about the title of this photo. She won ;-) It's an elephant in the sea. I like this surrealistic touch of that picture. Sometimes it's really hard to capture some good seascape images. I was standing around 20 minutes in a pouring rain before I could start to photograph. My patience was rewarded with an excellent sunset. 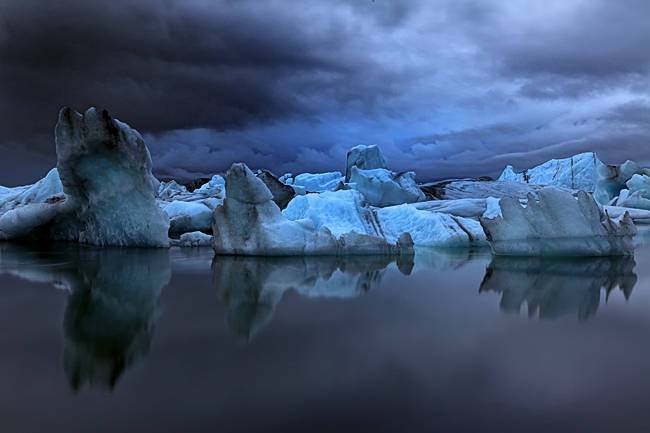 For this photo I used a 3-stop reverse graduated neutral density filter. 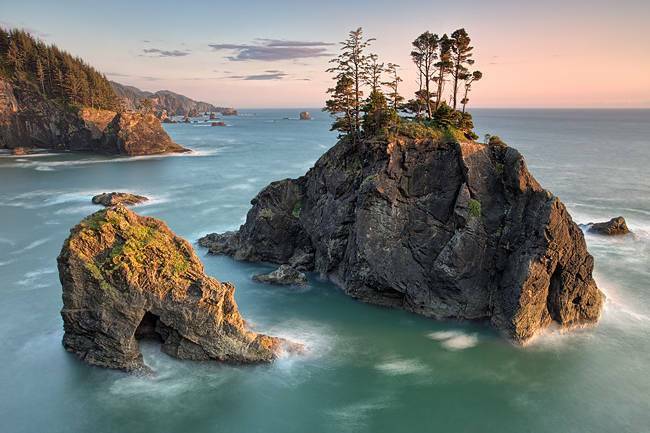 The Oregon coast is a paradise for seascape photographers. This image I took before sunset. I used a Hoya ND 400 filter to recieve a longer exposure time. 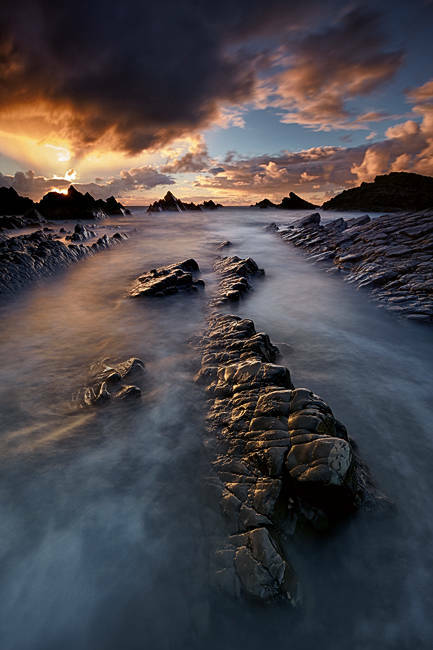 This photo is one of my favourite seascape photos. 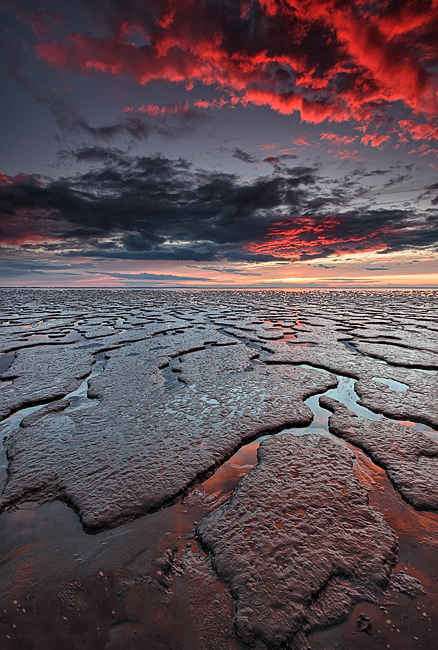 I was waiting around two weeks for the perfect light and tidal conditions to photograph the image, that was in my mind. 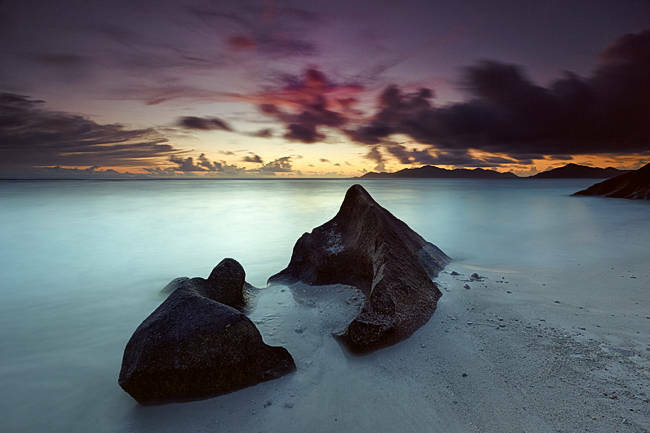 Seascape photography in the seychelles can be quite difficult, because there are many things to consider. Regarding this it was useful, that I lived in the seychelles, so I know the islands and the sea quite well. 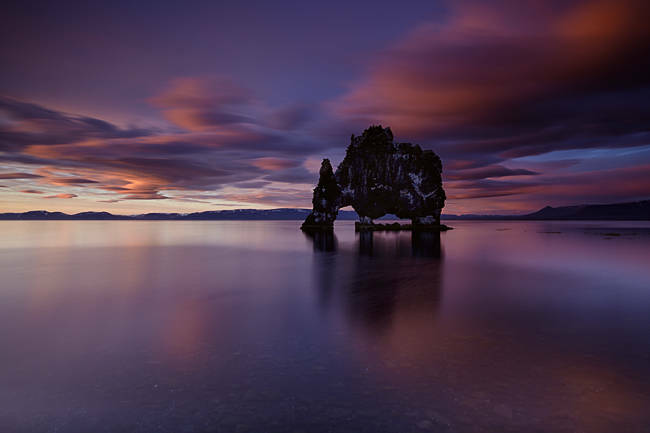 This image is a single 90 seconds exposure, with a 4-stop graduated neutral density filter and a polarizer.